Our family visited Turkey over Christmas break, 2010. It was my second trip to this amazing country, but first for the rest of our family, and first time for all of us to visit Istanbul. I’m not going to tell you the best places to visit, or even give you a travelogue of our trip. Other people have done a great job with both of those, and using trusty google, you can easily find better travel advice, pictures, history, etc. than I could ever give you. 1. It changes everything when you visit someplace with kids in tow. They notice things you don’t – things you wouldn’t notice. I always prided myself on being observant, but several times this trip, one of the kids saw something that I never noticed. Of course, it’s partly due to the fact that a couple of them still see the world from a height about 24 inches lower than mine – i.e. closer to the ground. It’s partly due to the fact that we all notice what is important to us. For instance – they see McDonald’s, I see local seafood bar. 2. Turkey is noisy. They said that in all the tourism sites, but wow – they were right. Even after years of living in a good-sized city, of visiting big American and European cities – nothing quite compares. I’m going to guess that this is true of most Asian cities – interesting to find out. It’s not just the cars, and the constant honking – the loudest thing is the babble of human voices. It’s constant, ubiquitous, almost overwhelming for a Wisconsin country boy (cows don’t do that, usually). 3. Mosques are intriguing. We went inside the Blue Mosque in Istanbul – I would guess that comparing it to a local neighborhood mosque is like comparing St. Paul’s cathedral with our Baptist church in Lublin – but still. Although you can see a bit of the influence the early Christian church had on the formation of Islam, especially in the shape and style of the minbar or ambon/pulpit, a mosque is significantly different. (I know – duh!) Beautiful, quiet, contemplative – those were the words that occurred to me. Of course, it may seem much less quiet and contemplative during a Friday prayer service. Btw – side note – I would never, ever want to live within shouting distance of a mosque. Those calls to prayer are hauntingly beautiful the first time or two you hear them. Every day, though, 5 times a day, starting at dawn? No, thanks! 4. Istanbul truly is a world-class city. So many things make this statement true: Istanbul’s location straddling Europe and Asia; it’s history, reaching back nearly 3000 years; it’s status as a capital of empires – Roman, Byzantine, Latin, Ottoman; it’s current size (5th largest city in the world) and importance. It was one of the European capitals of culture in 2010. Here’s the thing, though. Lublin, Poland, is candidating to be a European capital of culture in 2016. Now, I love Lublin. It’s a beautiful city, a great place to live, and a city definitely worth visiting. I would much rather live in Lublin than in Istanbul. And Lublin has had its significant historical moments – I should do a blog article about this great city. But. Lublin isn’t Istanbul. In fact, it’s hard to think about Lublin in a context that includes Istanbul. Now, I hope Lublin wins the candidacy. Just saying, though. Wow. Big difference between the two cities. So – go visit Turkey. Some of my friends have listed it as their favorite country. 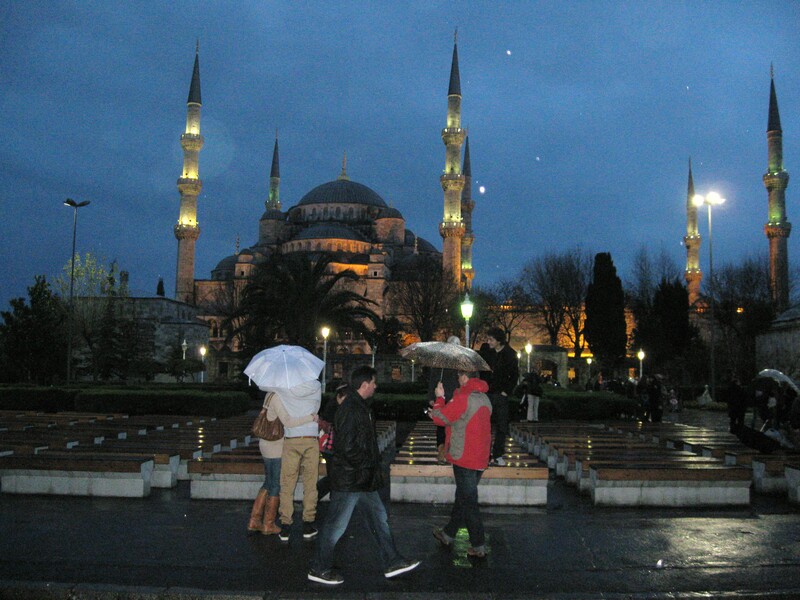 Another buddy said he could check Istanbul off his bucket list. I don’t have a bucket list, but if I did, Istanbul would have been on it. On the way, you’re welcome to stop off in humble Lublin, of course. Interesting read, Randy. Maybe someday I’ll be able to experience that city. Thanks for sharing your perspectives.